ur proposed TSA believes that effective ITT is critical to the development of teachers who will be the future system leaders. By providing quality mentoring and CPLD opportunities, teachers will aspire to support, lead and shape the educational landscape. Our experience of working with ITT providers from recruitment, mentoring and influencing design of courses has ensured that we are in a position to select the highest calibre of candidates and providing a quality training experience. orking closely with Leeds Trinity University and with support from our strategic partners and member schools, we can continue to develop the capacity of our SCITT and will be able to place trainees within the alliance in a wide range of settings. 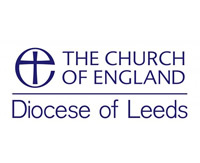 With the Diocese of Leeds as a strategic partner, and identified strengths in SIAMs across a number of our member schools, we have access to a wealth of experience and expertise to deliver on Church distinctiveness and effectiveness within the teaching programme. Within the alliance schools, in addition to three currently accredited NLEs, we have capacity through accredited personnel in SEN, English, Early Years and Middle and Senior leadership to deliver high quality training in specific areas. We also have experienced leaders who have delivered on a range of subjects for Leeds Trinity University and Red Kite on QTS programmes. In addition, we will not only train the trainees but support the staff leading them to become more effective in their practice. Currently, both member and lead schools have a history of working with teaching school alliances and providers so we will work in close collaboration with other these to ensure that there is no duplication and waste of resource.